Lisfenora is known across the British Isles for its yearly matchmaking festival. But a local man's murder and the grim discovery in his home have cast a somber mood over the town. Detective Sergeant Danny Ahern tries to make sense of the chaotic scene while struggling to set aside moral conflicts and grief for his comatose wife. Within days, he's plunged into even darker terrain when the investigation leads him on a collision course with the Tate family: troubled Nathan, who conceals secrets within ghastly secrets, and beautiful Zoe, the daughter Nathan abandoned years ago. 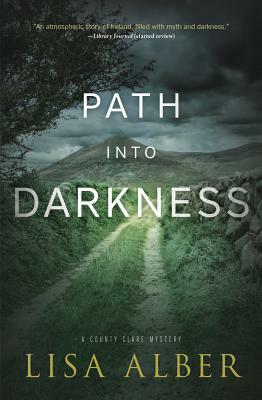 In this "dark, compelling mystery" (Booklist), one man is propelled toward a tragic downfall while the other struggles to walk the narrow path between life and death. Lisa Alber (Oregon), recipient of a grant from the Elizabeth George Foundation, contributed a short story on invitation to Two of the Deadliest (HarperCollins) alongside such notables as Laura Lippman, Dana Stabenow, and Patricia Smiley. She has been nominated for a Pushcart Prize, and she won a Walden Fellowship for writing. Lisa is an active member of Mystery Writers of America and Sisters in Crime. Kilmoon, the first in the County Clare Mystery series, was a Rosebud Award finalist for best debut novel.